Eminem has produced a new rap-battle movie called Bodied, and if the first trailer is anything to go by, it’s going to be incredible. Bodied follows the story of student, Adam Merkin, who enters and wins a rap battle, propelling him into success in the Oakland hip-hop world. 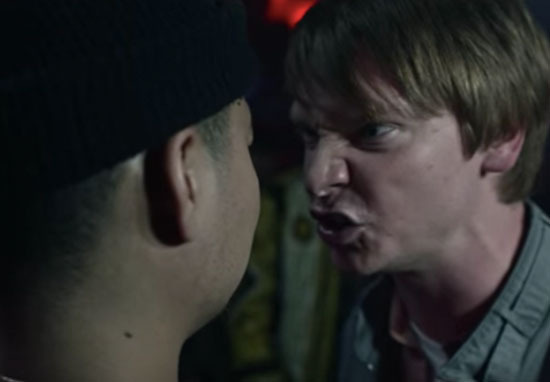 Merkin, (Calum Worthy), ends up alienating his fellow rappers and those closest to him as his interest in battle rap as a thesis subject becomes a competitive obsession. 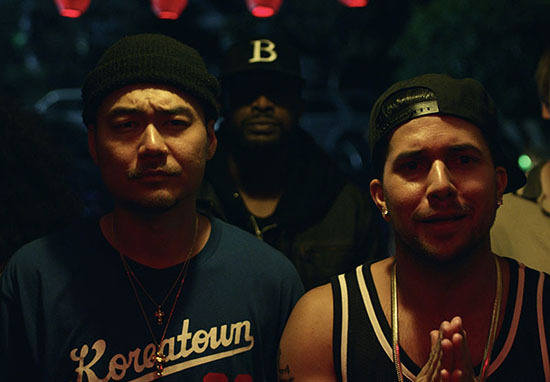 Directed by Joseph Kahn, the movie also stars Dumbfoundead, Anthony Michael Hall, Jackie Long and Charlamagne Tha God. We don’t say anything [about racism]. We just ask a lot of questions, and when people leave, they’ll have their own discussions about topics like cultural appropriation and race and freedom of speech. I’ve been a fan of rap music, but I never thought I’d ever rap myself. These guys are such unbelievable artists and poets. When I worked with them, I realised I was in over my head. But they were amazing and got me to a place where I could pull it off. Bodied will be released in cinemas on November 2, and on YouTube Premium on November 28.